Sign up and receive Property Email Alerts of Houses for sale in Gardenia Park, Bloemfontein. Space check, Investment Check!!! This 3 bedroom house has a lot to give. The main house gives your family space for all their needs. The house consists of 3 bedrooms, 2 bathrooms, lounge, 2 reception rooms and a kitchen. 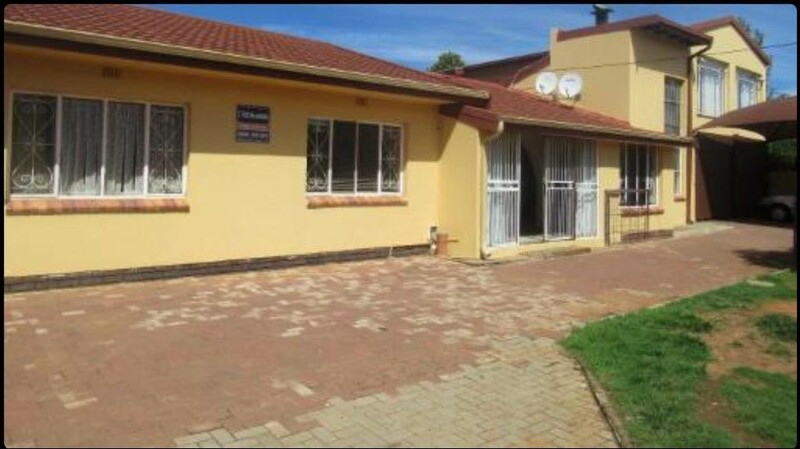 The flatlet that is currently occupied with a rental of R 5 000.00 is a bonus. The flat consist of 3 bedrooms, lounge, kitchen and bathroom. Flat have its own entrance. Sparkling swimming pool, with a landscaped garden with a sprinkler system. Pre-Paid electricity for both the house and the flat. Situated near Jim Fouche and a shopping centre, wich is under development for exciting new shops that will suite the family's needs makes this property a must have. Sign-up and receive Property Email Alerts of Houses for sale in Gardenia Park, Bloemfontein.